Mooney is often described as a freelance writer, millennial, and appetizer enthusiast. Born and raised in New York, Leila enjoys helping freelancers find their path on Contena as well as other sites such as The Write Life and Horkey Handbook. 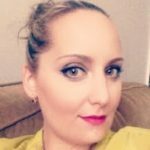 Some of Leila's specials skills include content creation, lifestyle topics, and having a wealth of knowledge about Harry Potter. When she's not writing, you can find her curled up with a book (or podcast), cooking up a mean meal in the kitchen, or overplanning a trip.